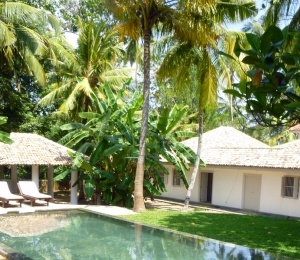 Kabalana Beach Villa Surf House is a 3 bedroom contemporary beach villa located in Welhengoda, south Sri Lanka. Kabalana is one of the best surfing beaches in the south. 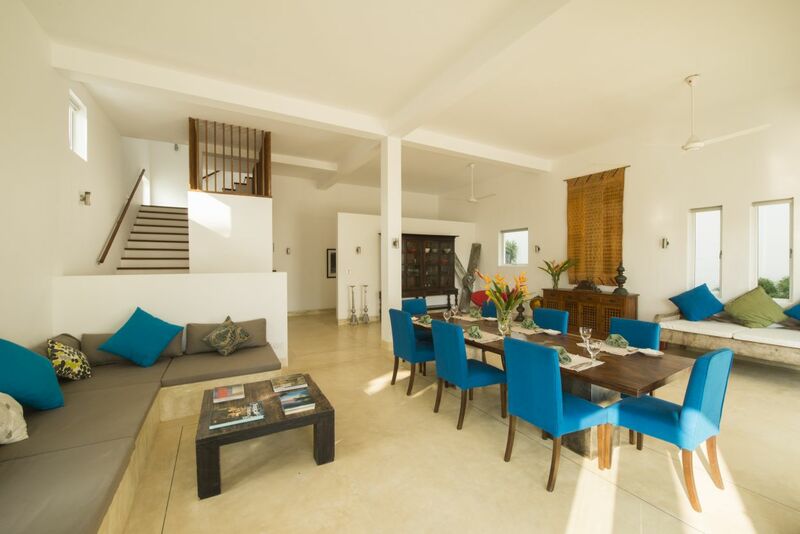 The surf house features a large open living / dining room, veranda and gorgeous pool, garden and direct beach access. 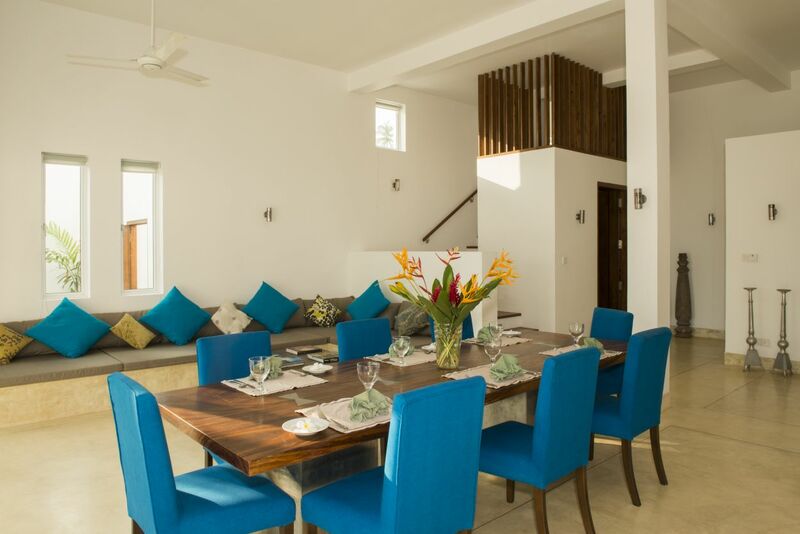 The surf house ideal for 2 couples with or without kids or a group of up to 6 friends. There's a permanent cook at the House that will cook for you! We'll give you a Menu with suggestions so you can choose what you would like to eat. You give money to the cook for shopping, and he makes what you want. Payment & Cancellation Policy Reservation Deposit of 50% required. | Due Balance amount to pay 30 working days prior to arrival. | For cancellations more than 30 days before arrival all funds received will be fully refunded less transaction fees. 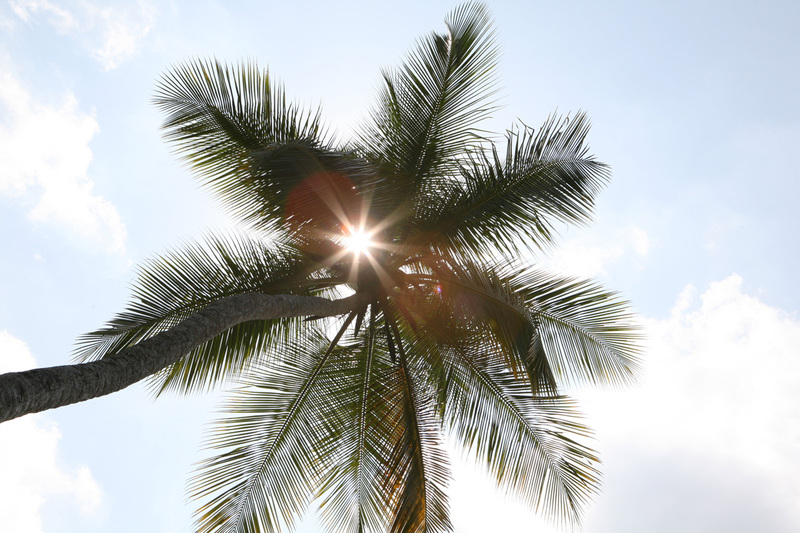 | For cancellations less than 30 days before arrival, no refund is possible however we will do our best to credit travel to a later date depending on availability. | Any changes on travelling dates will be accepted depending on remaining availability. Room Type Twin, Double, the all House! Languages Spoken English, German, French, Singhala, Spanish, Japanese. All rooms with private bathroom? Upstairs: Master double and Twin (bunk bed) room share a bathroom. Second double room has its own ensuite bathroom. 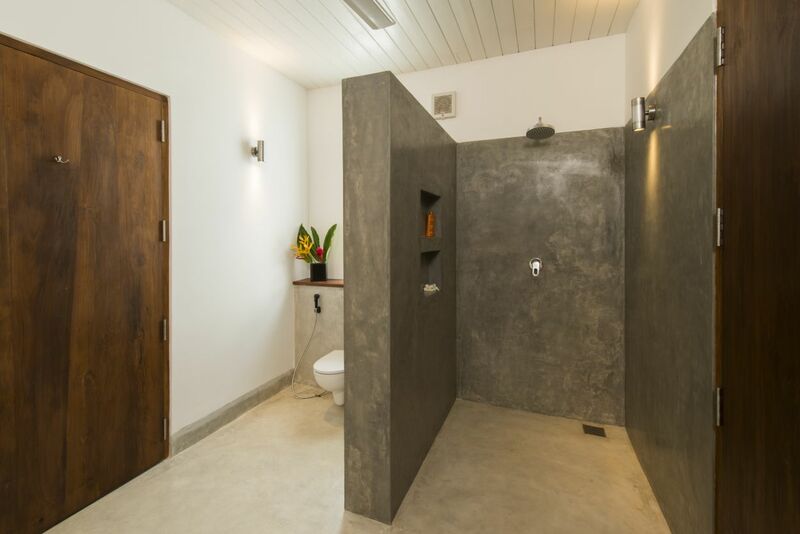 Downstairs: There is a toilet room with wash basin, and an outdoor shower by the pool. 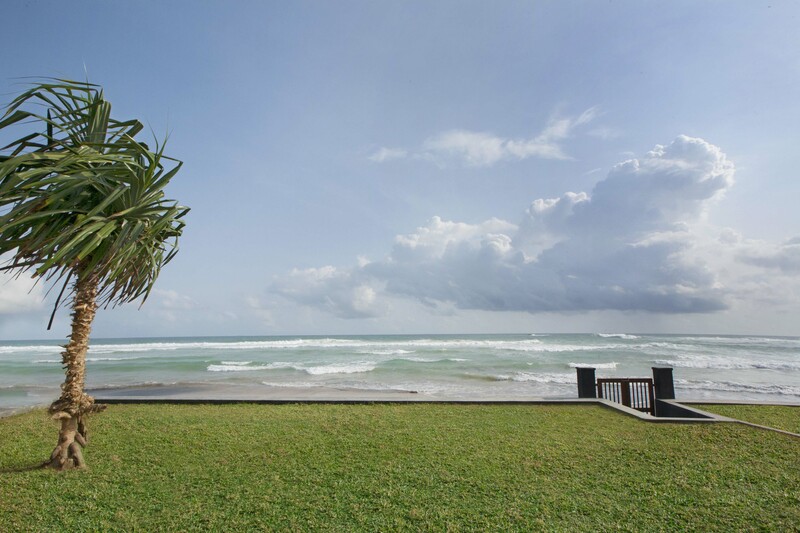 The surf house is right in front of a sandy beach; one of the best you'll find around that suits everyone, especially those looking for surfing and swimming. 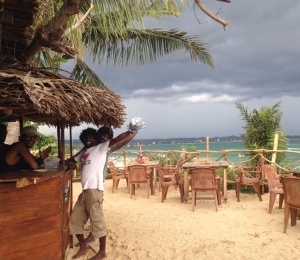 The beach has its own restaurant, known for its seafood, with fresh daily oysters, lobsters and prawns. 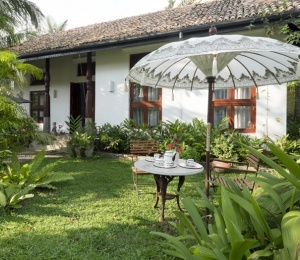 Kabalana Beach Villa is very easy to find from the main ocean road that covers the south Sri Lanka, hence coming from Colombo is easy. Driving from Sri Lanka's capital to the south of Sri Lanka, where the best surfing beaches are will take you around 2 hours. 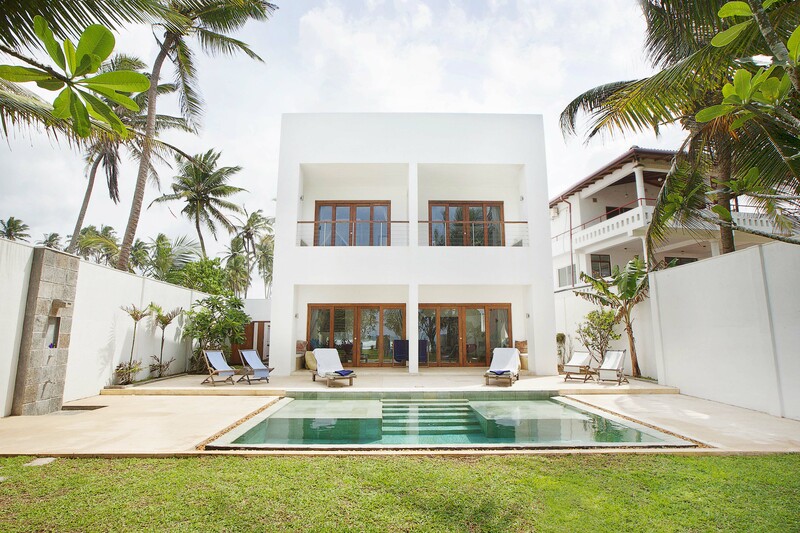 The surf house is located in Welhengoda and orientation within the area is easy. 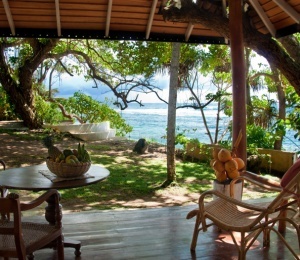 The house is around 10 min away from the most famous beaches of Welligama and Mirissa, for all surf levels. Also 10 min away you'll find Koggala Lake, a famous wildlife sanctuary, offering boat and bicycle tours, two Buddhist temples and even a pagoda. Drive up to 30 min to the north and you'll find the UNESCO World Heritage sight of Galle Fort, which stands also for the best shopping, restaurants, bars and beach clubs in the area. 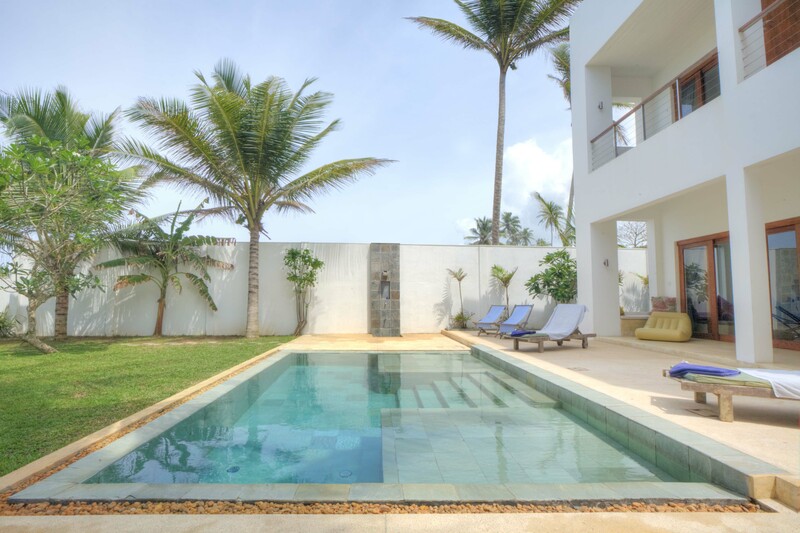 Once you'll arrive to the surf house, we'll provide you with a more detailed and clear list of the surroundings, and the owners of Kabalana Beach Villa will gladly help you out arranging visits and other services you may need. Please note that for transfers or rent a car you'll have to book in advance with Surfinn. 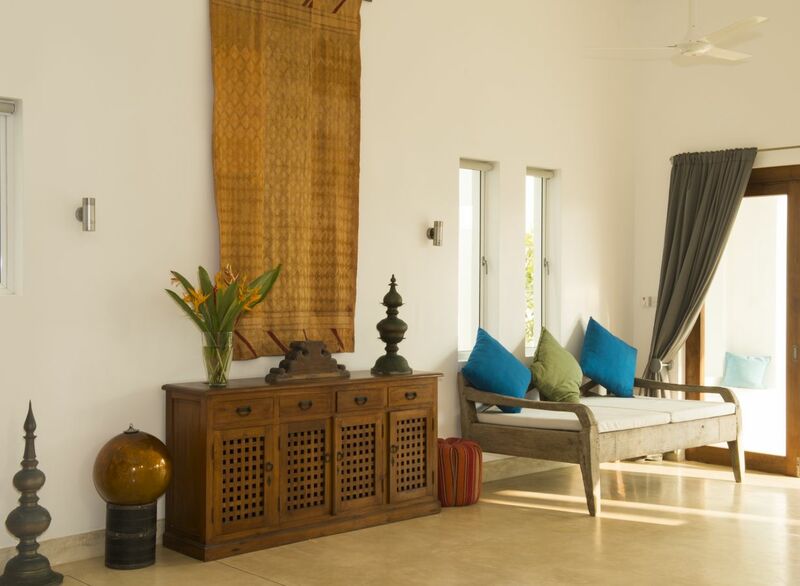 Kabalana Beach Villa has a large living and dining room that opens up to its own terrace, deck and swimming pool, lush garden with tropical plants and coconut trees. 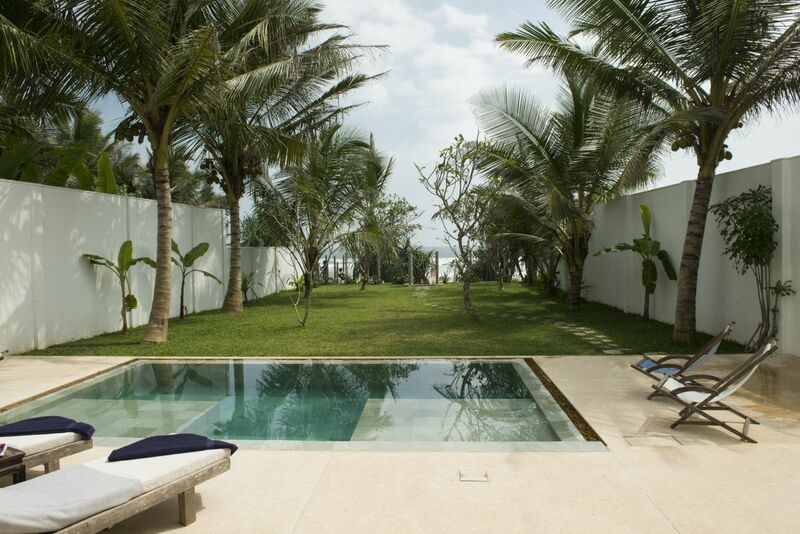 You'll agree with us that one of the best features of the surf house is its own direct beach access. 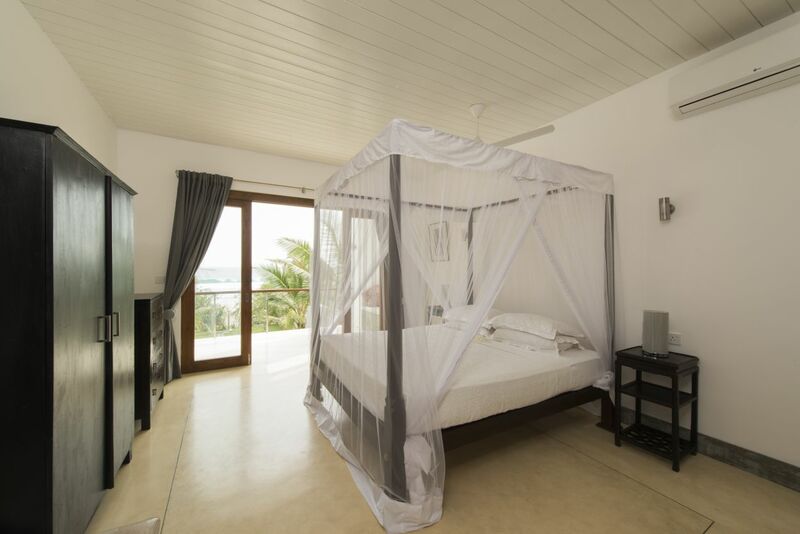 The surf house has 3 bedrooms, 2 of them on the first floor with its own private bathrooms and balconies to enjoy the outside weather. 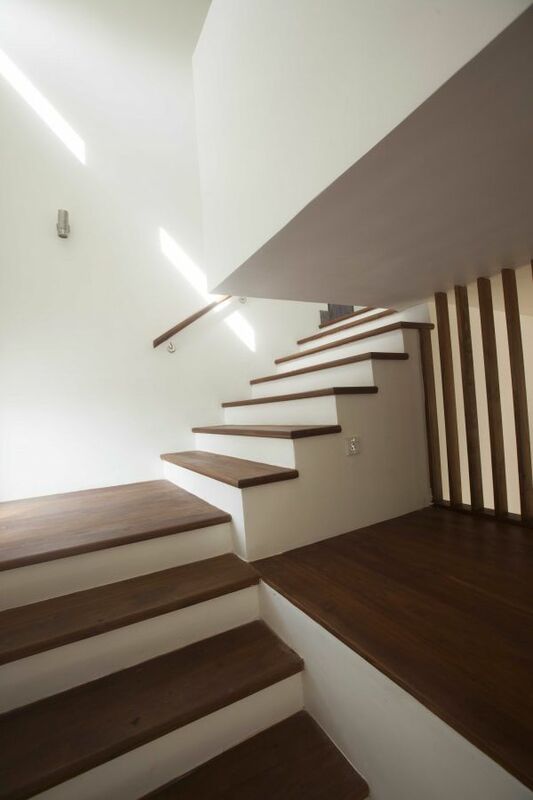 Each floor has a spacious 1500 sq ft/150 sqm. 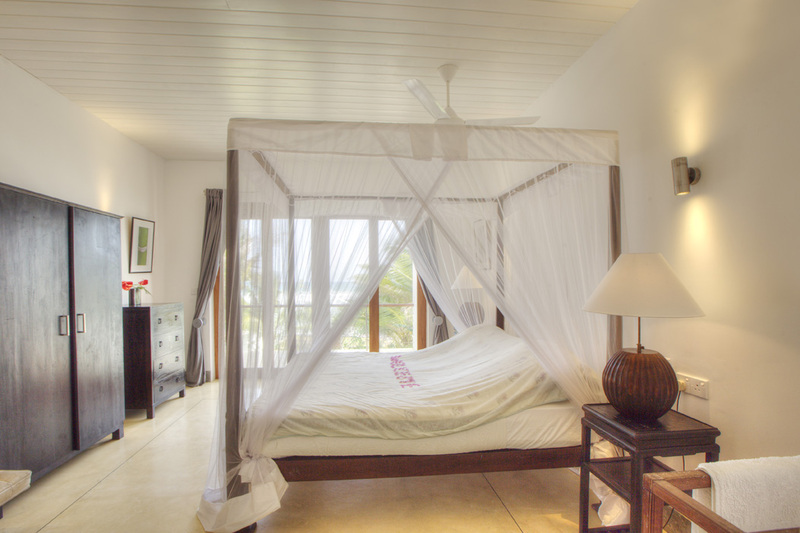 There is a third bedroom is suitable for kids and can be made available upon advance request only. 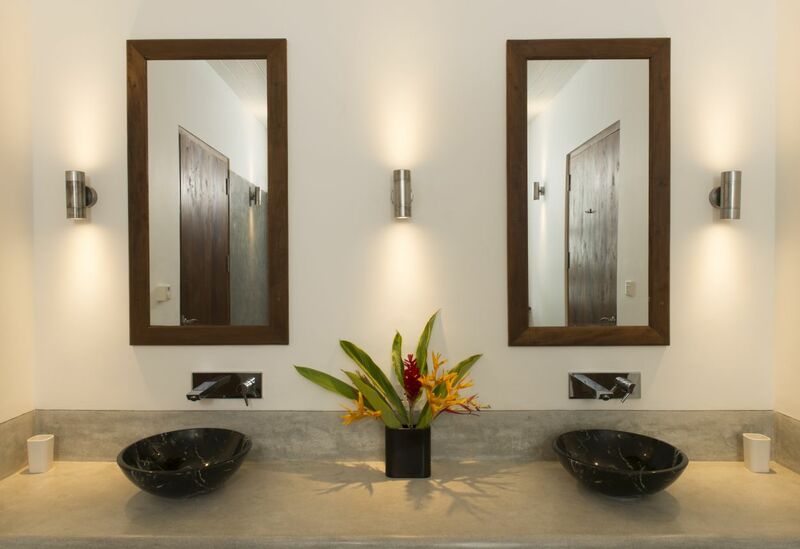 Kabalana Beach Villa has its own fully equipped kitchen ready for the guest to use, utility room, social bathroom, front yard. The surf house has one room boy and night security guard. There are small “kadés”, convenience stores at walking distance from our surf house. 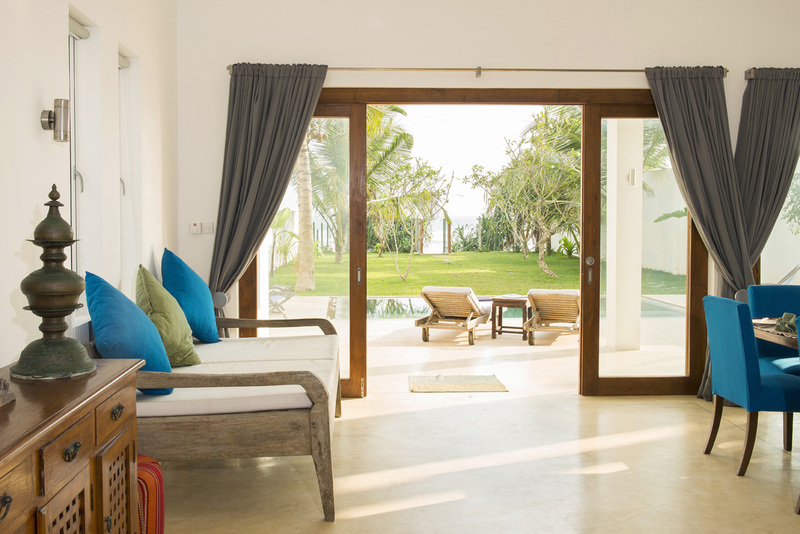 If you want to stay for longer periods during your surf holidays, it might be better to drive 5 minutes to Ahangama or Habaraduwa, the closest towns with larger supermarkets where you can stock up everything you'll need. Please note that we can also provide you with shopping and groceries in advance and our staff will be happy to prepare meals for guests according to their wishes. 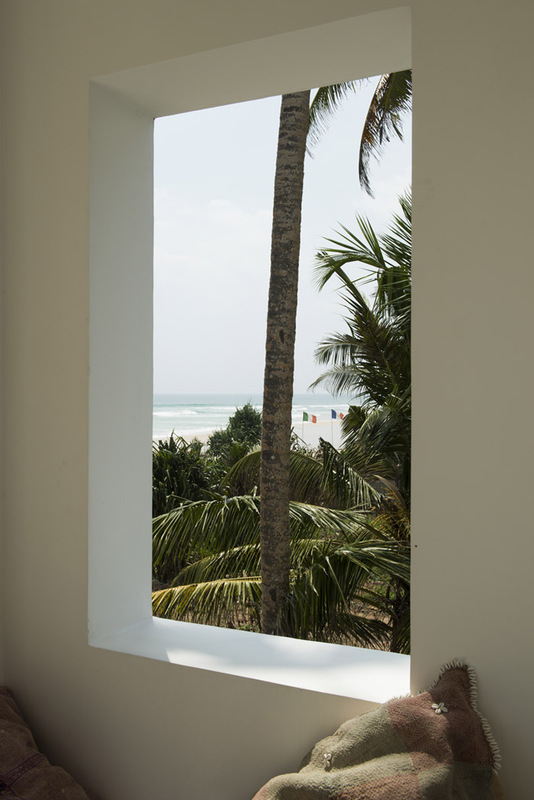 Banks are efficient in Sri Lanka, open during the week until 3pm and the nearest ATM to our surf house is only 5 minutes to the north. 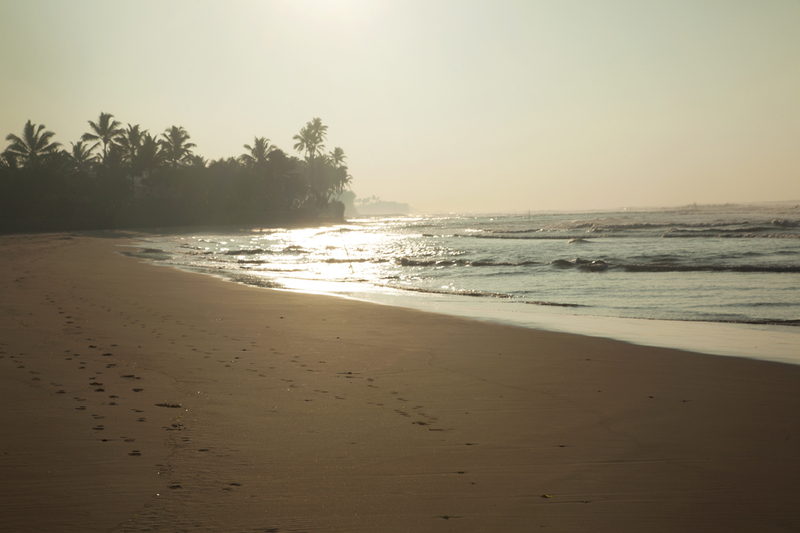 The beach in front of the surf house is shallow without the presence of any rocks or reef, which makes it ideal surf spot to learn how to surf in Sri Lanka. Next to the surf house there is also a surf school and on the north side of the beach you'll find the famous surf spot "The Rock”. 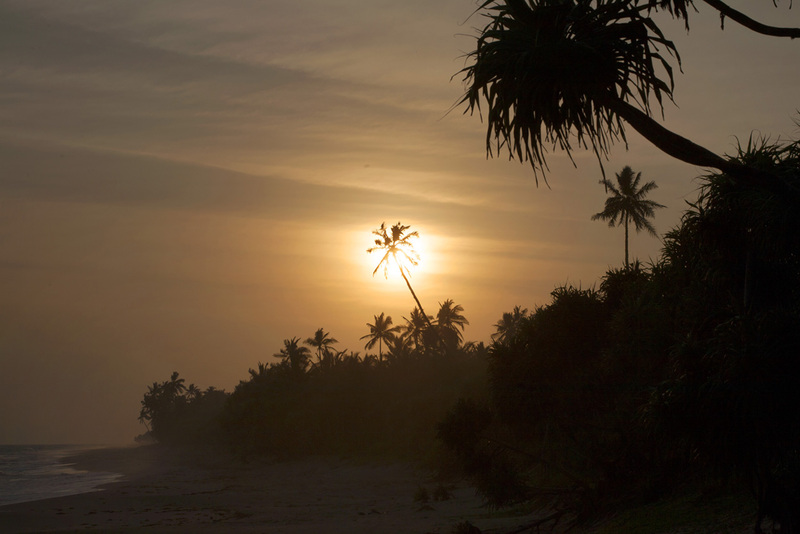 "The Rock" is one of Sri Lanka's most famous surf spots recommended for experienced surfers. Kabalana beach is great for total beginners too as its free from rocks or reefs making it easy to paddle out. 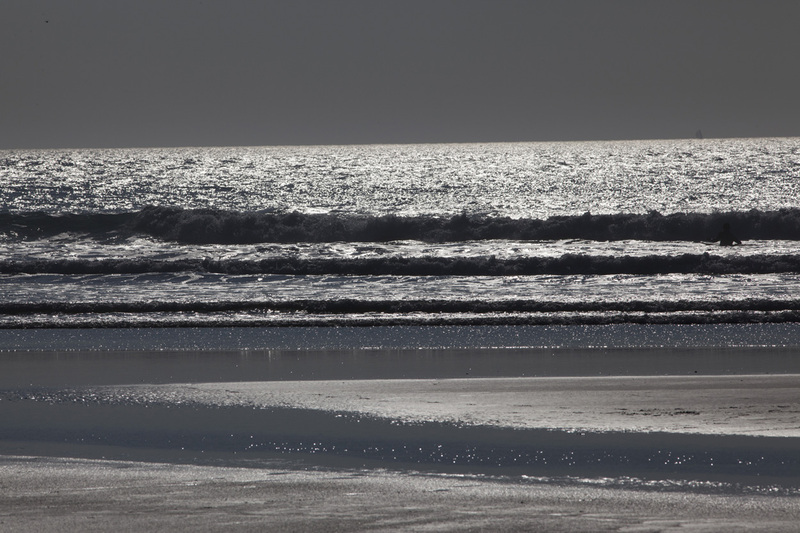 For intermediate level surfers, we'll recommend the "Sticks" surf spot at the southern end of the beach. 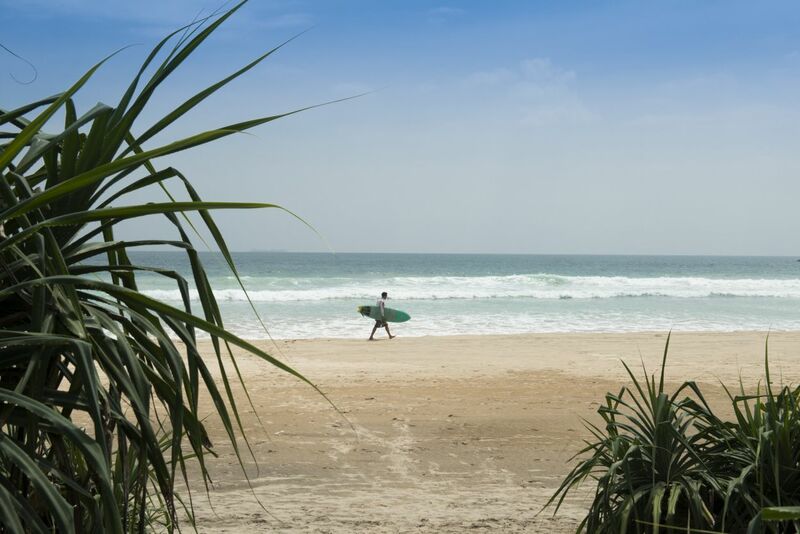 In the low season, Kabalana beach is practically empty, apart from the local surfers that surf all year round. During the high season it gets a little more crowded, but mostly by tourists staying in surf houses around. SURFINN © 20-04-2019 13:03:17. ALL RIGHTS RESERVED.